How to emboss an image? The embossed picture will be automatically saved in the default downloads folder on your computer. How does emboss effect work? When you apply an emboss style to your digital image, this causes each pixel of your picture to be replaced either by a highlight or a shadow. This depends on the boundaries between the light and the dark areas on the original picture. The name of this editing tool stems from a technique of producing raised or sunken patterns in sheet metal. 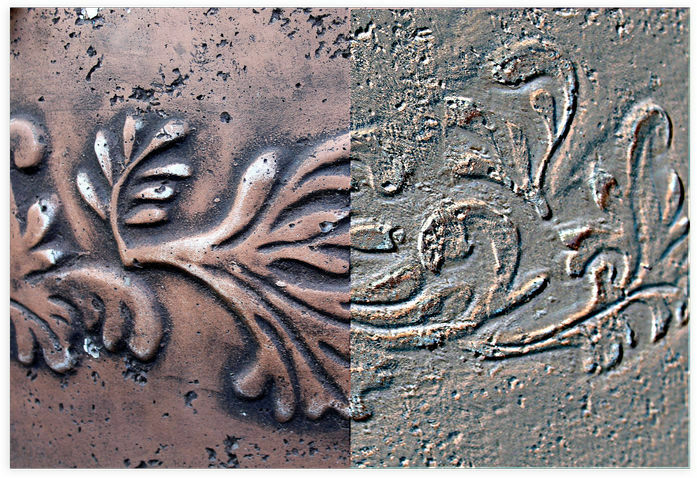 The resulting image resembles a paper or metal embossing of the original picture. 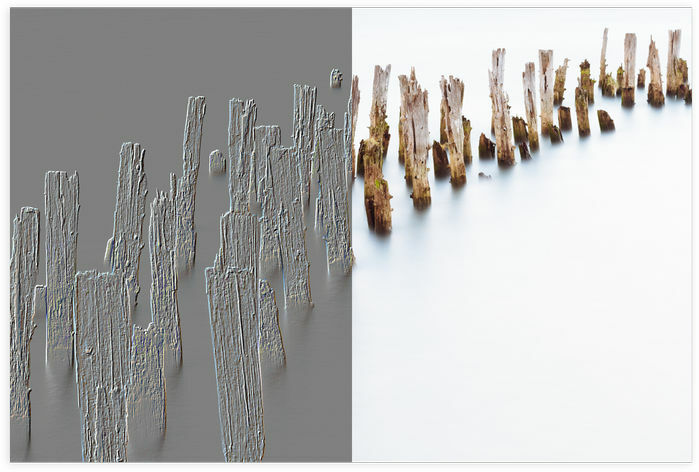 Emboss tool in Raw.pics.io helps you achieve a similar effect. 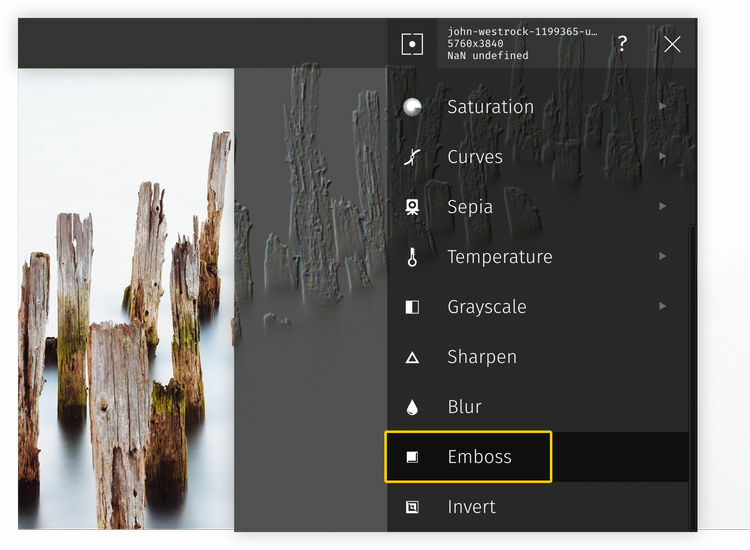 It takes just s few clicks to emboss online whatever image you want to edit. Why do you need to emboss an image? When applied to your image, photo embossing stamp imparts an additional three-dimensional effect to your image. Besides, emboss effect generator helps to reduce “noise” on your picture. Embossing images online is one of the top functionalities available in Raw.pics.io photo editor. Raw.pics.io is a reliable editor and converter that has a number of tools to visually improve your images. This service does not require registration, it does not contain advertisements, it works entirely online, and it is free. All these features make Raw.pics.io an extremely attractive tool for photo editing. Online converter and editor Raw.pics.io is a perfect tool to emboss any file format.